Q. Why is Prime Minister Netanyahu so anxious to excuse or condone the behavior of Saudi Crown Prince Mohammed bin Salman (MbS)? A. 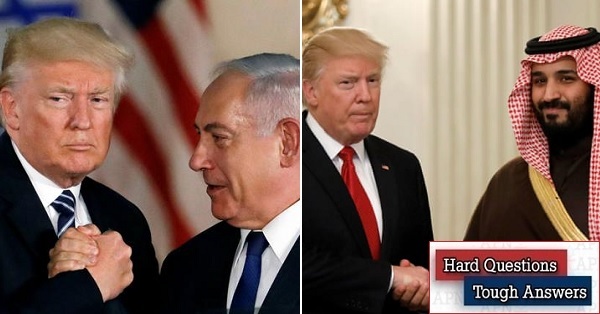 The Washington Post reported recently that Netanyahu told Trump administration officials that bin Salman was a key strategic partner and a linchpin of the alliance against Iranian encroachment in the region. Numerous additional Netanyahu and Trump spokespersons' statements back up this assessment. Unlike Trump, however, there are no direct quotes from Netanyahu to this effect. Why does Netanyahu indirectly lend his name to the effort to clear MbS? For the same reasons Netanyahu goes to bat in Washington for Egypt's dictatorial president Sisi and pals around with authoritarian and occasionally anti-Semitic leaders in Hungary and Poland. MbS and Sisi collaborate with Israel in combatting militant Islam, whether Iranian (MbS) or Sinai's ISIS and Gaza's Hamas (Sisi). The ultra-nationalist central Europeans block EU initiatives to punish Israel regarding West Bank settlement expansion. Netanyahu did not invent the Israeli pose of befriending objectionable regimes for mutual benefit. Recall that, decades ago, when it served what were deemed Israel's security needs, left-wing Israeli governments collaborated with apartheid South Africa and Latin American dictators. Today, Netanyahu enjoys the added advantage of being openly backed for most of these initiatives and positions by the Trump administration. And there is another key difference, particularly with regard to MbS--one that, unlike the behavior of left-wing Israeli governments decades ago--has nothing to do with vital security considerations like South African uranium and arms sales to South America. Keeping MbS in power increases Trump's and Netanyahu's leverage over him to ensure his support for Trump's long anticipated "ultimate deal" for the Palestinian issue. Saudi pressure is expected to back the PLO into a corner and force it to accept the far-reaching concessions regarding territory, Jerusalem and refugees that Trump will almost certainly demand. That scheme will almost certainly fail. Either there won't be an ultimate deal, or Netanyahu will reject it, or the Saudis will refuse to pressure the Palestinians. But it ostensibly rationalizes Bibi's readiness to excuse MbS's involvement in the horrific murder of Saudi journalist Khashoggi in Turkey two months ago. Accordingly, it indirectly advances Bibi's ultra-nationalist drive to turn Israel into a de-facto apartheid binational state. Meanwhile, Trump can reciprocate and cite Israel's security interests as one of the reasons why the US and others should let up on pressuring Saudi Arabia: "Israel would be in big trouble without Saudi Arabia", Trump stated a few days ago. Really? Other than hi-tech purchases and hoped-for overflight rights for a theoretical Israeli attack on Iran, the hapless Saudis under MbS have virtually nothing to offer Israel. They have failed in the exercise of soft power in their boycott of Qatar and failed in their lame attempt to force the resignation of Lebanon's prime minister. And as the Yemen war has demonstrated, they have failed in the exercise of hard power, too. MbS is a bad bet as a potential ally. Q. Returning to the Palestinian issue, Airbnb is boycotting the West Bank settlements. What's your take? A. Airbnb announced on November 19 that it was removing some 200 listings in West Bank settlements, arguing that "companies should not profit on lands where people have been displaced". This is at least at the declarative level a victory for the BDS movement and the pro-Palestinian camp in their exercise of soft, boycott power against Israel. But not much more than that. Settlement guest houses and bed-and-breakfasts get very little income from Airbnb listings. For the most part they rely for rentals on Israel's own growing ultra-nationalist mainstream and on visiting evangelicals who support the settlements. They can also rely on the Netanyahu government's impressive array of anti-BDS legal and commercial measures, including potential lawsuits, to support them. Then too, Airbnb's boycott logic is problematic. True, some settlements have displaced Palestinians and profit from it. But not all. Some Jordan Valley and Etzion Bloc settlements can argue that they have displaced no one. Interestingly, the Airbnb boycott does not apply to the Golan Heights tourist industry, which it could be argued is based on lands where Syrians were displaced 51 years ago. Meanwhile in Tel Aviv, where upwards of ten percent of dwellings serve as vacation rentals via Airbnb and its many competitors, the main complaint is that Airbnb unfairly jacks up real estate prices at the expense of low and middle-income residents. Personally, ever since pre-1967 Israel was widely boycotted, I have opposed any and all boycotts. They are often ill-conceived and counter-productive. Boycotting settlements has done nothing to stop Israel's perverse grip on the West Bank and East Jerusalem. When Trump boycotts Iranian oil he only hardens the resolve of Iran's most extreme ruling circles. By the same token, I find the Netanyahu government's anti-BDS campaign with its dedicated ministry, extensive blacklists and embarrassing airport detention and interrogation incidents to be largely a waste of time and resources and a blot on Israel's name. The real issue is the occupation. And it will be neither weakened by boycotts nor strengthened by the anti-BDS campaign. Q. One of the issues at stake in Netanyahu's feud with now-ex defense minister Liberman and defense minister wannabe Bennet is the degree of aggressiveness required for Israel's conflict with Hamas in Gaza. Now Netanyahu himself is defense minister. What is his approach and how do you view it? 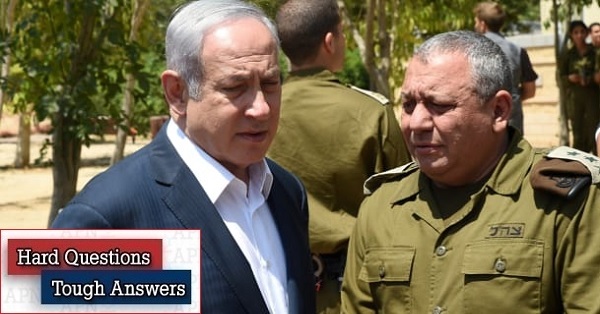 A. Netanyahu has at one and the same time argued that Israel faces extreme security threats yet claimed that his measured and cautious approach to those threats, echoed by IDF Chief of Staff Izenkot, is the right one. He just extended Izenkot's tenure as chief of staff by an extra two weeks (!) in January 2019 based ostensibly on this same logic of major anticipated threats. Nowhere does Netanyahu detail the nature of the threats. His many political opponents on both the right and the left, including former ministers of defense like Moshe Yaalon and of course Liberman, insist that the threats are a bluff designed to keep Netanyahu in power, including as defense minister, and to postpone elections as long as possible by frightening the public. They also insist that Netanyahu's reserved and cautious approach to Gaza is defeatist. 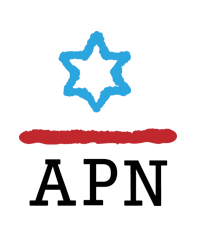 In defense of both Netanyahu and particularly the capable and cautious Izenkot, Israel faces real threats, particularly from the Iran-Syria-Hezbollah alliance to its north. A recent deterioration in the security dialogue with the Russian presence in Syria, which transpired through no fault of Israel's, is an additional major cause for concern. Indeed, Russia's recent military initiatives against Ukraine and Islamist rebels in Syria's Idlib province appear to reflect a new aggressiveness that could affect Israel. Then too, Netanyahu's and Izenkot's caution in dealing with both the threat to the north and that from Hamas in Gaza has in recent years paid off commendably in keeping Israel out of potentially bigger wars whose outcome is unpredictable. Finally, Netanyahu's hawkish critics, led by the recently resigned Liberman and ultra-hawkish Education Minister Bennet, are advocating far more aggressive policies toward Hamas in Gaza even though they demonstrably have no better idea than the prime minister regarding what a viable strategy toward Hamas should look like. It's all bluster, by both the prime minister and his critics on the right. Netanyahu recently even admitted he has no military strategy for Gaza. And nobody seems to have a civilian, economic or soft power strategy that might prove workable with Gaza's militant Islamist leadership. Netanyahu is trying to present himself as the least dangerous alternative. That's hardly comforting. Q. This week, Israel hosted President Idress Deby of Chad and began to thaw relations that were severed nearly 50 years ago. What is the significance? A. Chad is poverty-stricken. It has a problem with illegal African migrants heading north to Europe via Libya. It has an Islamist terrorist problem. President Deby, while careful in Jerusalem to pay lip service to the need for an equable Palestinian solution, claims he came for reasons related to security. In view of Arab world fragmentation, particularly in Libya and Sudan, he has little to fear from the sort of Arab pressures that pried Chad and other African countries away from ties to Israel back in the early 1970s. Israel can almost certainly thaw its long-frozen relations with Chad on the cheap. It can offer security assistance and can put in a good word with the Trump administration. The latter has lately downgraded its African security presence in order better to deal with what it perceives as the Russian and Chinese challenges to American interests. Chad's borders with Libya and Sudan provide some strategic relevance, particularly insofar as Israel and Sudan are reportedly talking about initiating some sort of ties (Deby offered in Jerusalem to help engineer a breakthrough in Israel's relations with Sudan). One Israeli press analysis of the Deby visit links it to an Israeli desire to obtain overflight rights in the skies above Sudan and Chad. This would enable more efficient and direct air links between Ben Gurion Airport and Latin America. Netanyahu takes justifiable pride in his success in leveraging the Iranian and Islamist threats, Arab world weakness and Israel's security and hi-tech reputation into improved relations with countries like Oman and Chad and gas transport deals with EU members Cyprus, Greece and Italy. Among Arab countries, Bahrain is mentioned alongside Sudan as a candidate for upgraded relations following PM Netanyahu's recent visit to Oman. This is soft-power-projection at its best. Too bad these skills are not put to work alleviating Israel's worst strategic threat, the one that is becoming more rather than less acute under Netanyahu: the slippery slope towards an ugly, conflicted one-state reality with the Palestinians that he insists on perpetuating--regardless of MbS, Airbnb, the Islamist security threat, and Chad.